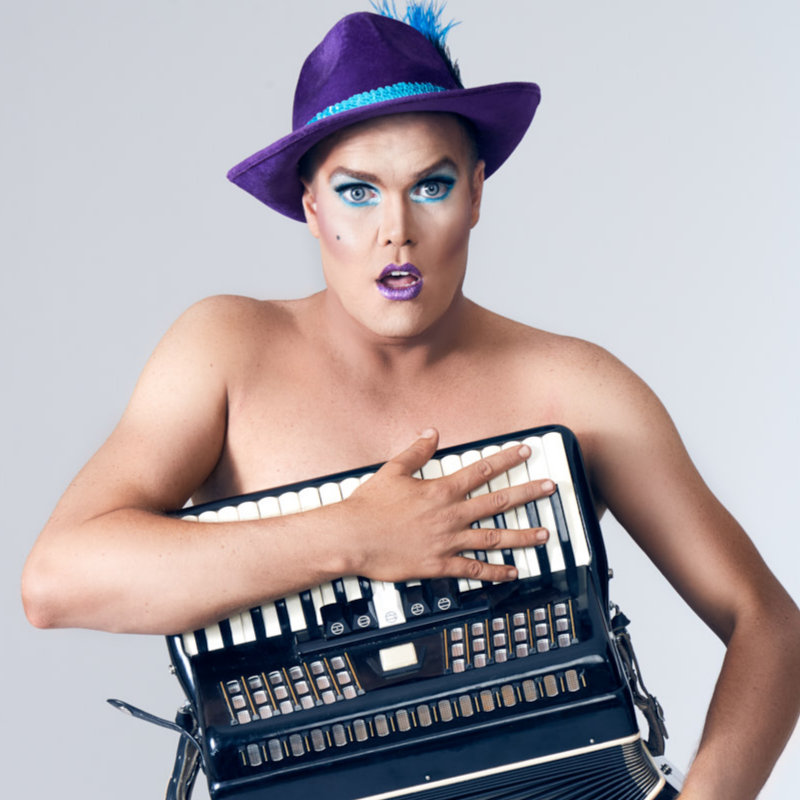 Fresh from conquering stages and screens around the globe, international superstar Hans is back in his adopted hometown with an accordion-pumping, foot-stomping, glittering blitzkrieg of cabaret backed by a huge seven piece band! Dishing the dirt on his triumphant turn on America's Got Talent, hilarious Hans will have you slapping your thighs so hard, you'll think it's Oktoberfest. Winner of PICK OF THE FRINGE at the 2018 Adelaide Fringe weekly awards and SOLD OUT at the Edinburgh Fringe Festival 2018. ★ ★ ★ ★ ★ Broadway Baby (UK). ★ ★ ★ ★ ★ The Advertiser. "You don't want him to leave the stage" Tyra Banks. "The gift that keeps on giving" Mel. B. "Like a horror movie... But I loved it" Simon Cowell. "No... He's not German" Heidi Klum.